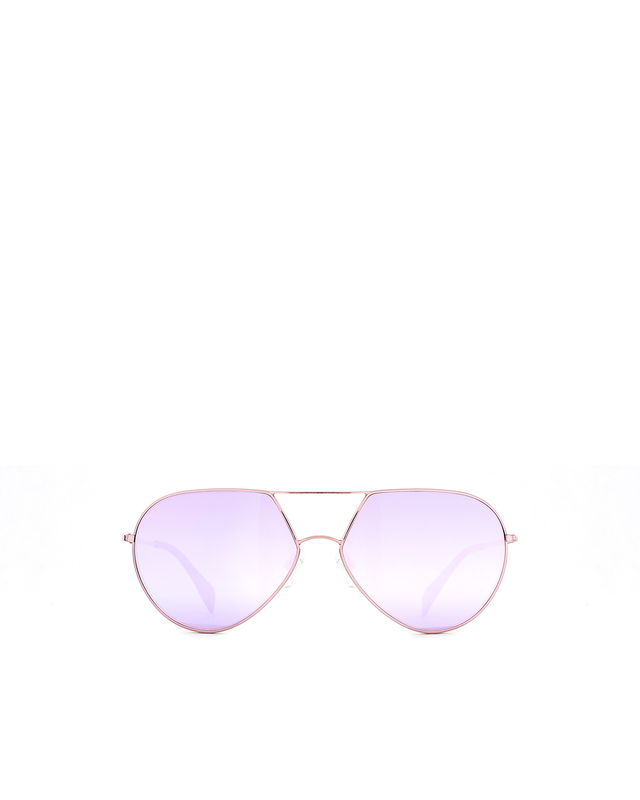 Genny's sunglasses have a classic aviator-style silhouette that's universally flattering. 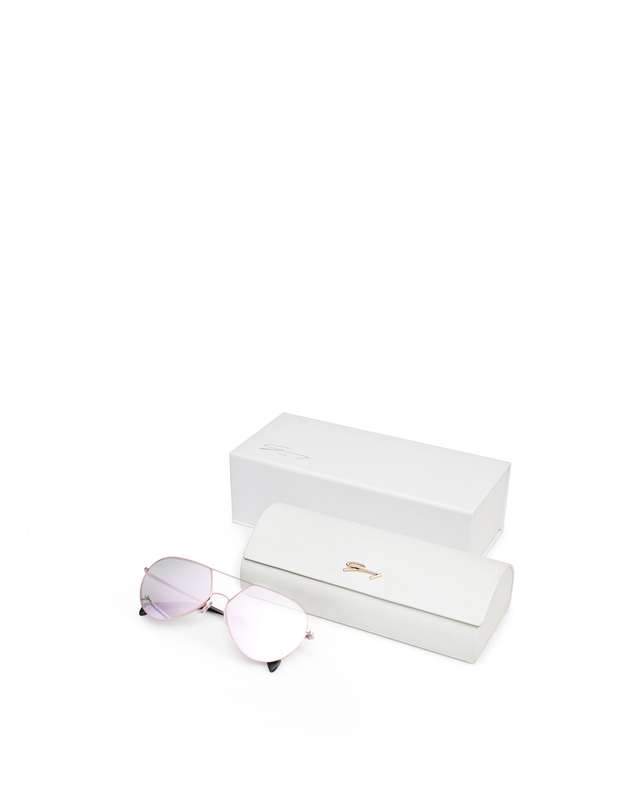 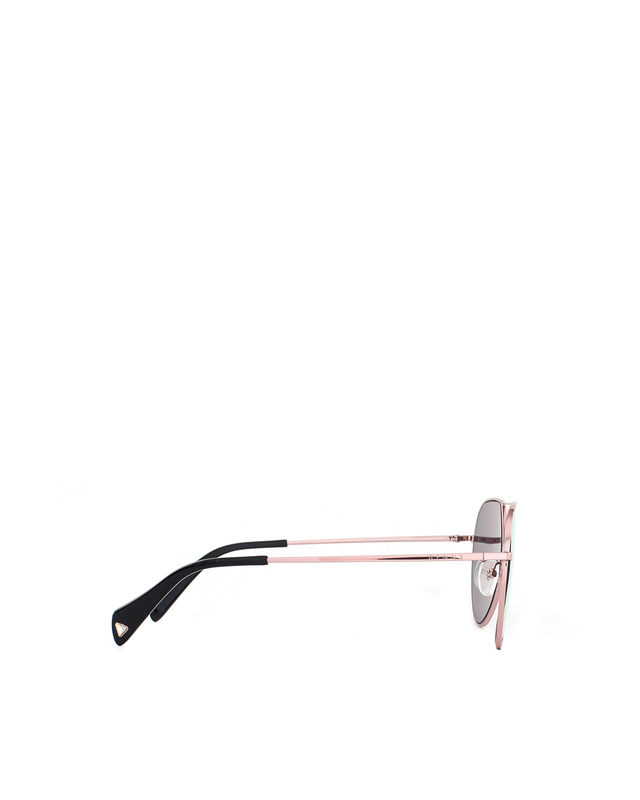 This pair is realized in a pink tone and features a double bridge frame. 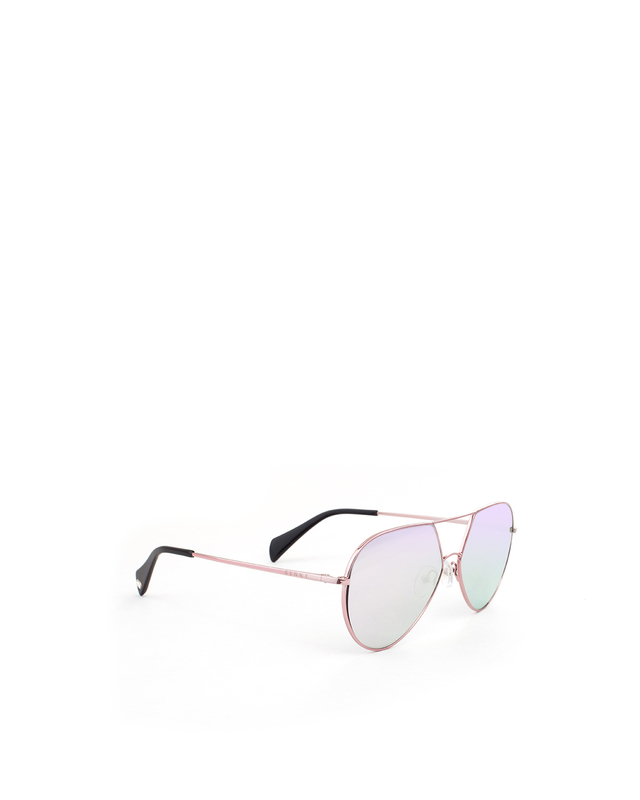 The mirrored lenses are in a pink shade.